Glo recently announced on thier Tweeter handle they will launch a free data day on 11th August 2017. Glo has truly emerged as one of the best networks in Nigeria with exciting features, packages and bonuses. 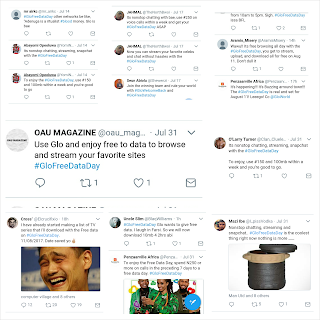 Glo proudly announced it on thier Twitter handle to reward both old and new users. Alot of fans are already excited about the news and are already delighted and hopefully waiting for 11th August. 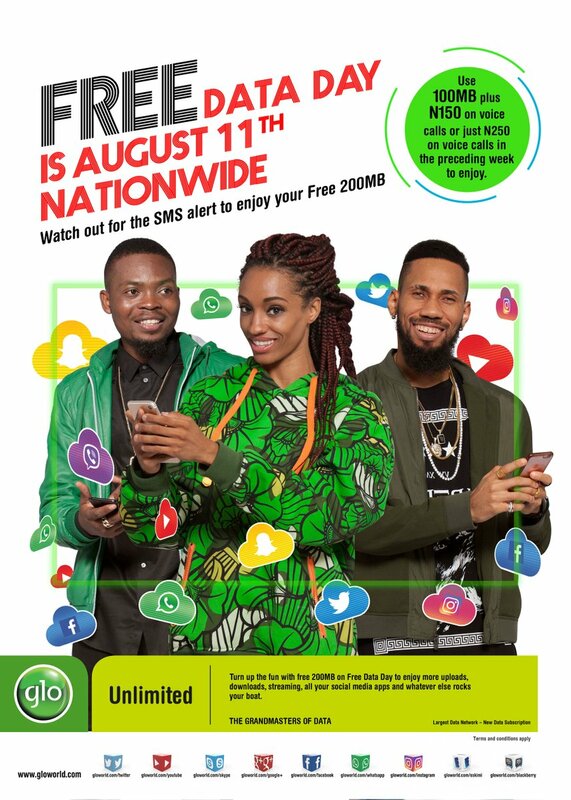 So if you don't have a Glo simcard kindly get yours now or before 11th August, It's really going to be blazing hot and internet will check, Remember its absolutely free. 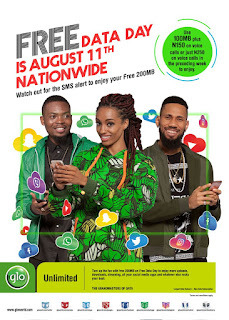 Use 100mb plus #150 or use #250 worth of airtime in the preceding 7 days to enjoy. So what are you still waiting for, quickly rush now and grab your own Glo simcard and enjoy the blazing offer.